Sky News sell-off – missing the point? 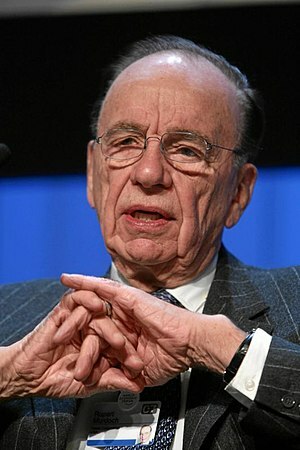 The news that Rupert Murdoch is free to bid for the remainder of BSkyB will redraw the UK’s media landscape, due to the sell-off of Sky News that Jeremy Hunt has mandated when agreeing the deal. While this has been hailed as an elegant solution to avoid concentrating too much power over the news within a single entity, I think Murdoch will be more than happy with the outcome. While Sky News has dramatically grown its reputation over the last few years it is still loss-making. And with media fragmentation there is nothing to stop BSkyB launching branded, cross-promotional channels (The Times News at Ten?) or even bringing across the low brow Fox News concept to the UK. So news is a bit of a red herring to me. The bigger prize for News Corporation is the synergies between print, online and broadcast. Heavily promoting Sky shows in The Sun and Times (perhaps with exclusive content), bundling deals (if you have Sky TV and broadband adding a paywall subscription is just an incremental payment) or using both media to rubbish the competition all seem eminently possible. And that’s just some quick thoughts – I’m sure News Corp has teams of people beavering away at this now. These are the areas that regulators need to watch to avoid the News Corp juggernaut unfairly squashing the competition. Though Murdoch still has to complete the acquisition…….